Mac’s Motor City Garage recently wrote up a good primer on the Turbo Titan III, GM’s turbine-powered experimental semi. All through the 1950s, General Motors held high hopes for the gas turbine engine, as exemplified by the automaker’s fabulous trio of Firebird dream cars. But, by the mid-1960s, the romance with passenger-car applications had cooled off, and the company’s development focus for turbines shifted to large road trucks. 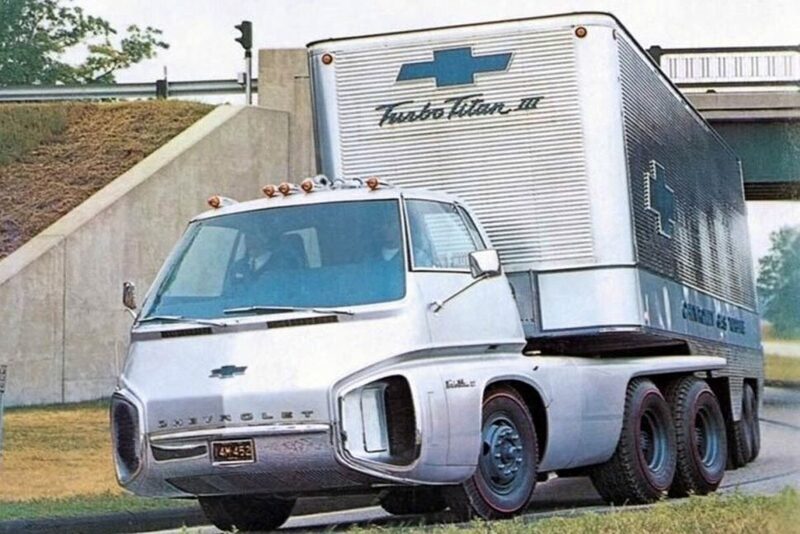 Two prototypes based on production trucks, Turbo Titan I and II, led to the creation of a far-out dream truck known as the Chevrolet Turbo Titan III, a futuristic tractor-trailer rig. * The number-one-rated tourist destination in Columbus, Ohio, isn’t COSI, the Short North, or the original Jeg’s. 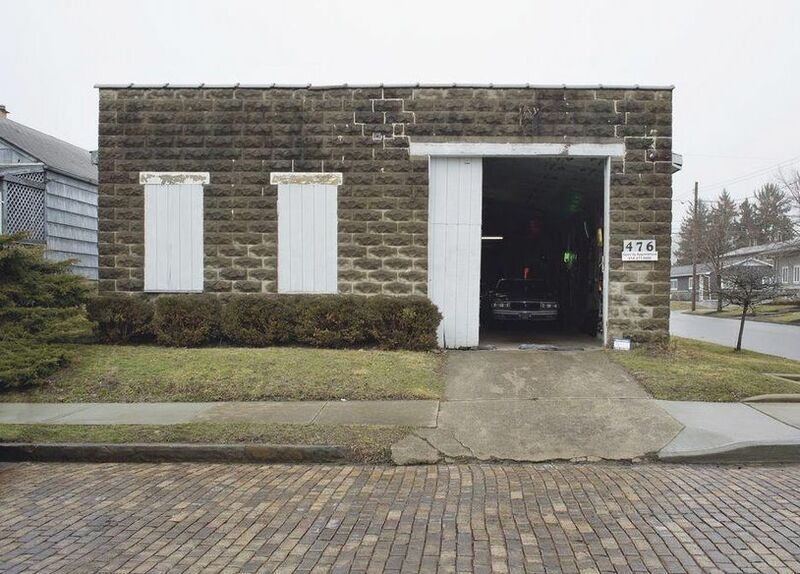 Instead, it’s a small car museum south of downtown. * This weekend’s Detroit Autorama will feature a number of shows within the main show, including the first Lowrider Invitational, as the Detroit Free Press reported this week. 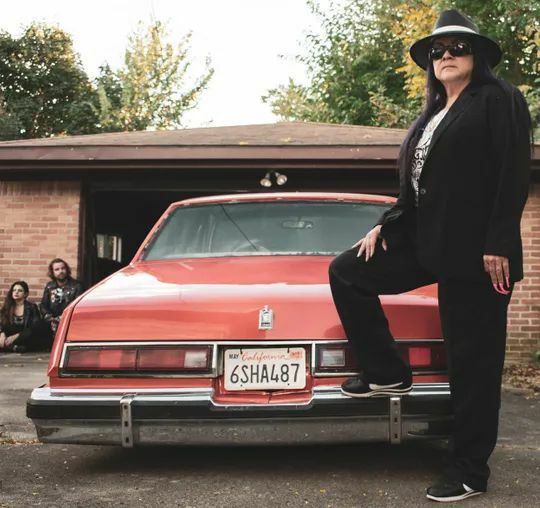 “The car is a work in progress,” she said, “with a barren interior.” But Sanchez said the car is going to be at the invitational this weekend, and she looks forward to talking to people about lowriders. 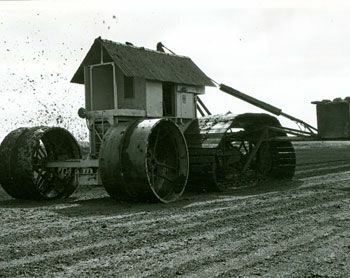 * As found over on Motorology, a massive diesel peat-harvesting tractor. We’re stanning the thatch-roof shack for a cab. The tractor is powered by a diesel engine fitted with automotive type clutch. The transmission consists of a main gearbox, an auxiliary gearbox, a worm drive bevel gear differential unit, and a spur gear reduction final drive contained within the back axle casting. The tracks comprise a special cast steel link-type chain, with swamp shoes or sleepers bolted on, which runs on track rollers suitably spaced on the track frame. The driving sprockets are built up from steel plate discs with steel rollers between, to register with the track chain. The idler sprocket has the steel disc, with distance pieces, allowing the track link driving spuds to pass between them. Both the driver and idler sprockets are fitted with wear resisting cast steel pads where the track link driving spuds make contact with the sprocket plates. 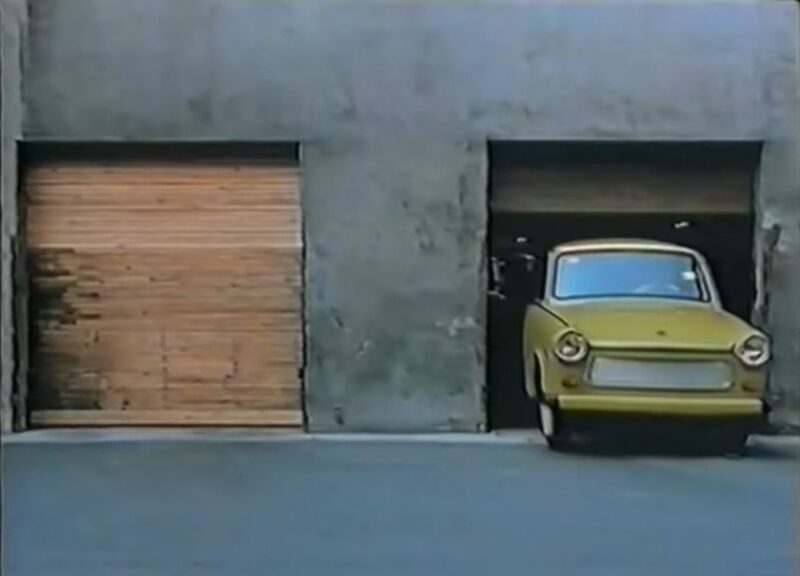 * While we’re partial to the sped-up punk-rock version that Concours d’Lemons recently posted, we’re also sure plenty of readers would like to see the normal speed documentary on Trabant production at Zwickau that served as its basis.